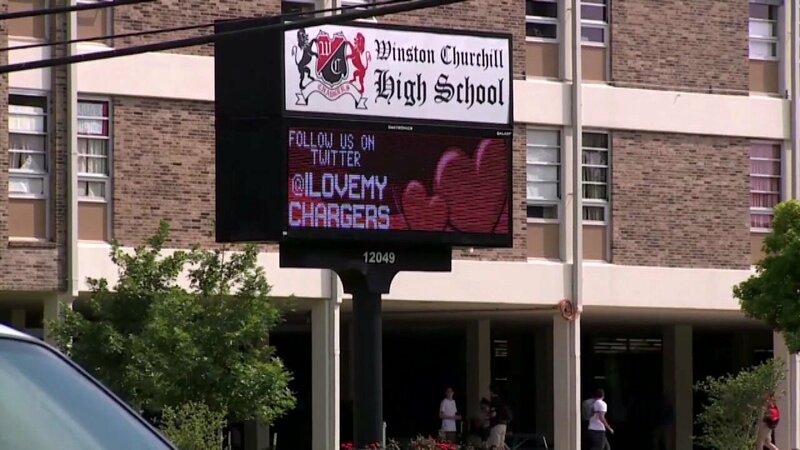 The incident happened earlier this month during an anatomy class at Winston Churchill High School in Texas. SAN ANTONIO, Texas -- A Texas school district says no one will face punishment after video surfaced of high school students using a cat's intestines as a jump rope during a lesson. Officials with the North East Independent School District told KENS-TV the incident happened earlier this month during an anatomy class at Winston Churchill High School. The district said the teacher felt the lesson was "effective" for demonstrating how long and tough intestines are. "This lesson really was not meant to be disrespectful or degrading in any way. And when the teacher found out that that's how it was being portrayed, they were actually very upset about it," spokeswoman Aubrey Chancellor said. Chancellor said neither the students nor teacher will be punished because there is no "ill will." But she says the district will update the lesson plan. Animals rights group PETA told the TV station the school should replace "cruel and crude" dissection methods with animal-free lessons.